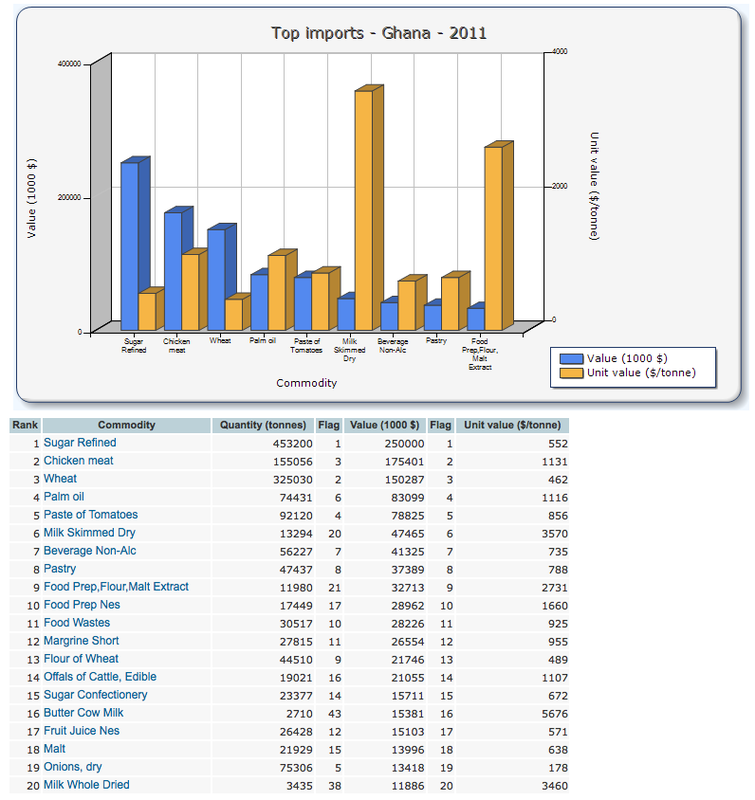 Ghana top imports for the year 2011.. According to the World Trade Organization, trade represented 109.3% of Ghana’s GDP from 2006-2008. In 2008, merchandise exports totaled over $5.2bn while merchandise imports totaled over $10.2bn. Also in 2008, commercial services exports totaled over $1.5bn while commercial services imports totaled close to $2bn. Overall, Ghana is a net importer. Note: The information in this snapshot can help identify trade factors that may impact investments in Ghana. For example, the higher the Trade-to-GDP ratio the greater sensitivity Ghana’s economy might have to global economic, trade, and financial fluctuations. Also, changes in economies or industries of key trading partners may trigger changes in Ghana’s economy and industries.